Art can be a powerful tool to inspire environmental and social change. The Our Common Future Art Contest challenged FIU students to create art and digital art that can empower others to learn about environmental problems and take action to create a resilient South Florida. It was held by the School of Environment, Arts and Society. This year’s winners are Michael Peraza, a senior majoring in communication, and Chloe Poggengerd, a junior majoring in art. 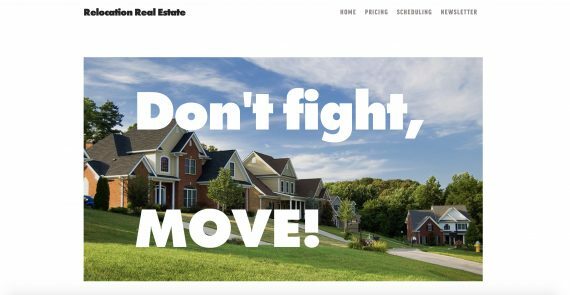 Peraza created Relocation Real Estate, a satire website dedicated to raising awareness about the social inequities in sea level rise adaptation. Poggengerd created Glass Half Full Florida, an online community for locals to join forces and connect to events, petitions and communities relating to sea level rise. Focused on optimism, it recognizes climate change can seem ungraspable or daunting to some people. It wants to serve as a reminder not all hope is lost and the glass is always half full. The art contest was open to undergraduate students who attended the annual Our Common Future lecture. The submissions were judged by a panel of FIU faculty and staff who rated each entry on the clarity, creativity and power of its message. The Donald Blechman Memorial Our Common Future Lecture Series brings some of the world’s leading researchers, scholars, thinkers and public figures to FIU to discuss critical environmental issues that affect communities on local, regional and global scales. Past speakers include climate scientist Robert Corell, photojournalist Annie Griffith, conservation scientist Joshua Ginsberg, NASA climate scientist Gavin Schmidt, and sustainability scientist Nancy Grimm.